A survey of Jewish Canadians indicates that we are not a Zionist monolith. This will be news to no one who has enjoyed a family seder or logged onto social media in recent years. However, it is useful to have a fairly comprehensive public opinion survey on the range of issues that tend to most divide us. For some, the organizations that co-sponsored the survey will lead to outright dismissal. 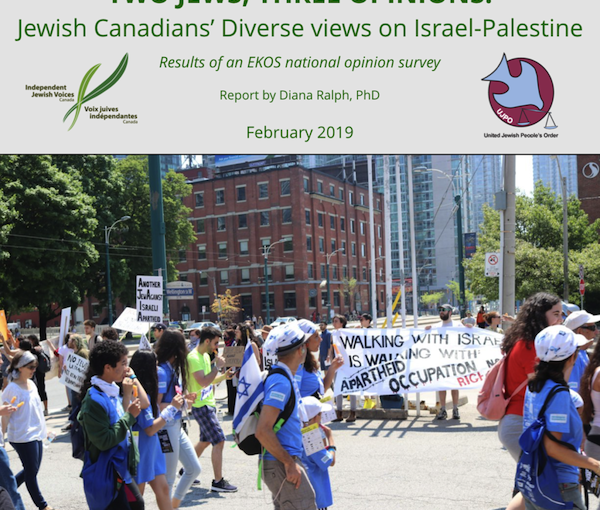 Undertaken by the polling firm EKOS on behalf of Independent Jewish Voices Canada (IJV) and (UJPO), the goal of the exercise was no doubt to show considerable support for the positions espoused by these two groups that are routinely critical of Israeli policies. By and large, though, the methodologies of the survey appear to have been relatively unbiased, and to ignore the findings is to bury our heads in sand. Almost half (48%) of Jewish Canadians surveyed believe that “accusations of antisemitism are often used to silence legitimate criticism of Israeli government policies.” More than one-third (37%) have a negative opinion of the Israeli government. On the matter of the United States moving its embassy to Jerusalem, 45% oppose and 42% support the move. Nearly one-third (30%) think that a boycott of Israel is reasonable and 34% also oppose Parliament condemning those who endorse such a boycott. Almost one in three (31%) oppose the military blockade of the Gaza Strip. The sponsors of the survey see the results as evidence that Jews whose positions are often dismissed as marginal actually represent a large swath of Canadian Jewish opinion. We quibble with aspects. One question asks: “In 2004, the International Court of Justice ruled unanimously that the wall built by the Israeli government on Palestinian territory violates international law. In response, one year later, over 170 Palestinian citizens’ organizations called for a boycott to pressure Israel to abide by international law. Do you consider the Palestinians’ call for such a boycott to be reasonable?” It may be a bit much to ask someone answering a phone at dinnertime to disagree with something called the International Court of Justice and 170 Palestinian organizations. Overall, though, most of the questions were not misleading nor did they have preambles intended to lead the respondents, as did this one. The survey does, nonetheless, reflect a prevailing narrative that Israel has no legitimate security concerns and erects barriers along the West Bank and blockades Gaza just for fun. But that is the playing field we are on. Whatever criticisms or doubts we might have about the survey should not distract us from the reality it means to deliver. There are serious divisions between Diaspora Jews and the approach of the government of Israel. Ignoring, papering over or stigmatizing these differences of opinion will harm both Jewish cohesion in the Diaspora and crucial support for Israel. As we have said in this space many times over the years, Israel’s leaders must make decisions based on its security needs, not on what makes it easier for Diaspora Jews to be proud Zionists. However, we do Israel and our own community a disservice by isolating and denouncing those who disagree with the positions of our main communal agencies. An election is approaching in Israel and that could lead to more of the same or to a significant shift in policy – or to some sort of hybrid between the two. Things change quickly, particularly in that part of the world, and what is true in a survey today may not be true in a year or five. 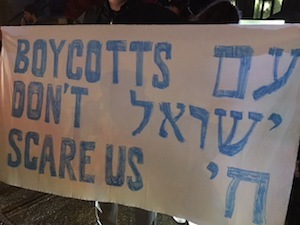 Even if Israeli policies remain largely the same after April’s election, it is probably not a sustainable position for Canadian or other Diaspora Jewish communities to pretend that a (seemingly) growing chorus of dissent is nonexistent, insignificant, misguided or ill-willed. That is a recipe for irrelevance, particularly among younger Jews. In fairness, the idea that the Jewish “establishment” is a monolith is an unjust characterization. A diversity of opinions exists in our communal organizations and, certainly, in the plethora of traditional media (like this one) and new media (blogs, online publications and social platforms), a million flowers bloom. So, we challenge the premise that our community enforces a strict ideological membership code. But, we definitely could be better at acknowledging the full range of diversity – even if that means arguing and contesting positions, or even shifting our communal narrative. Indeed, that is entirely in keeping with our community’s tradition. The survey raises questions we rightfully should be addressing. On behalf of JNF Canada (JNF), I wish to respond to allegations made by Independent Jewish Voices Canada, longstanding opponents of JNF Canada, as well as the opinion piece you published [“Tax troubles start year,” Jewish Independent, Jan. 11]. With regard to the substantive issues that have been raised about our projects in Israel we wish to reiterate our position. • JNF has in the past carried out projects mainly of a charitable nature, such as parks, playgrounds and recreational facilities on land owned by the Israel Defence Forces. Our charitable funds never flowed to the IDF. The charitable funds were directed toward the hiring of indigent labourers to construct these projects. These expenditures represent under one percent of our expenditures over the past decade. In your coverage, you suggest that we took action based upon an alert from the CRA. This, in fact, is not the case. Rather, it was our legal counsel who advised us several years ago that the indirect association with the IDF may be misconstrued or criticized by the CRA, so we ended our participation at that time. We have not for several years carried out projects located on IDF land, and we continue to operate in accordance with CRA regulations governing our status as a charitable organization. We stopped these projects on the advice of counsel well before this issue was brought to the public’s attention by a group trying to sensationalize it. • With regard to projects located in disputed territory, JNF is committed to continuing to work with CRA to ensure we are in full compliance. • Finally, in terms of governance and reporting, JNF operates in compliance with the Canada Income Tax Act. We have Israeli staff on site to direct our projects in Israel and regularly report on our activities. Thank you for highlighting our work and for acknowledging that “Israel is Israel, is large part, thanks to JNF.” We take pride in having supported the building of water reservoirs, collaborated with dozens of educational institutions, built numerous recreational/educational facilities, planted millions of trees and supported pioneering research in green technology. Key projects for this year include supporting a trauma centre in Sderot, a project to feed Israel’s hungry, the rehabilitation of the Be’eri and Kissufim forests, and more. JNF’s management and lay leadership are committed to improving our operations. For the past number of years, we have been making changes to strengthen our governance and controls. What will not change, however, is our commitment to helping build the foundations of Israel’s future. We will always stand shoulder to shoulder with the people of Israel to benefit the social service and environmental fabric of the state of Israel. Lance Davis is chief executive officer of Jewish National Fund Canada. A member of Parliament has agreed to sponsor an e-petition that calls on the government to revoke the charitable status of the Jewish National Fund of Canada (JNF). This is the first time an MP has lent support to an effort to rescind JNF’s tax-exempt charitable status in Canada and marks the latest development in a long-running battle by those opposed to the JNF’s charitable status. Quebec NDP MP and national revenue critic Pierre-Luc Dusseault has agreed to sponsor petition E-1999, which, as of this writing [Jan. 21], had garnered more than 1,400 signatures. It went online on Jan. 9 and will close for signatures on May 9. E-petitions are an official system whereby petitions that are sponsored by an MP and receive 500 signatures will be tabled in the House of Commons. The government must then respond within 45 days. It was submitted by Independent Jewish Voices of Canada (IJV), which is considered an outlier within the Jewish community, due to its support for the boycott, divestment and sanctions movement against Israel. The JNF responded by saying that it stopped funding projects on Israeli military bases in 2016 and that the projects only “indirectly” involved the IDF, because they were for children and youth on land owned by the IDF. In a subsequent interview with the CJN, JNF Canada’s chief executive officer, Lance Davis, said the charity is working with the CRA on its review and issued staunch defences of JNF’s financial transparency and donor accountability. It says evidence “strongly indicates” that JNF Canada violates the Income Tax Act, common law and Canada Revenue Agency policy over its IDF-related projects. It calls on the minister of national revenue to revoke JNF’s charitable status, if the charity is found to violate the Income Tax Act, or CRA guidelines and policies. It was initiated by Rabbi David Mivasair, a longtime IJV activist now based in Hamilton, Ont. He called the e-petition “part of an ongoing process” to hold public officials accountable. This latest campaign “is not something that I take any pleasure in doing, but feel is morally necessary to be done,” he added. In 2017, IJV submitted an 85-page complaint about JNF Canada to the CRA and the national revenue minister. That followed many other campaigns designed to pressure federal officials. Dusseault did not reply to the CJN’s requests for comment. For Jewish National Fund of Canada’s response to the Jan. 11 Jewish Independent editorial, click here. Last week, we published a story about a group of people gathering outside the Jewish Community Centre of Greater Vancouver to hold a Yizkor service for Palestinians who died during the March of Return actions at the Gaza-Israel border. We are not surprised by the reaction from readers, but we are disappointed in some of it. We have been criticized for covering the event. One commenter on Facebook accused us of supporting Hamas. We are a newspaper. The fact that a group of Jews – it doesn’t matter how many or how few – organized an event like this is newsworthy. We covered it. It is what any newspaper worth the paper it’s printed on would have done. To accuse the Independent of endorsing the event – or Hamas – because we ran a story about it demonstrates a stunning lack of understanding about the basics of journalism. When a newspaper covers a flood, it is not endorsing the river. At least one critic suggested our approach should have been to publish a raving tirade against those saying Kaddish. Our approach, generally, is to report events in an unbiased fashion and leave the raving tirades to others. Just one question, really, for those who didn’t like the inclusion of that story in last week’s issue: Would you rather not know what’s happening in your community? “Each one of them was a full human being, with a full life,” said Rabbi David Mivasair, addressing a dozen or so people, most of whom were Jews, outside of the Jewish Community Centre of Greater Vancouver on May 21, the second day of Shavuot, for Yizkor, the traditional memorial service for the dead. Shawkat Hasan, a member of the Palestinian community and the B.C. Muslim Association, whose family lost their home in the war of 1948, also spoke, emphasizing that the conflict was not between Jews and Muslims but between Zionism and its “victims,” and calling for widespread resistance to violence against Palestinians. The group carried out their service peacefully. The idea for it came about only days before, and the organizing of it was rushed to coincide with Shavuot. One sign read, “Murdering innocents is not a Jewish value.” Some passersby stopped to join or listen, as members of the group chanted the names and recited Kaddish, and some to express their opposition. Mivasair told those assembled that the location had been chosen to protest CIJA, who have their offices inside the JCC. CIJA had launched a campaign calling for Prime Minister Justin Trudeau to apologize for remarks Trudeau had made that the “reported use of excessive force and live ammunition is inexcusable” and his call for “an immediate independent investigation” after a Canadian doctor was shot by the IDF while treating protesters. The Yizkor service at the JCC followed weeks of protests by Palestinian solidarity groups outside of federal Justice Minister Jody Wilson-Raybould’s Vancouver constituency office. In the conflict at Israel’s border with Gaza, the IDF faced some 50,000 protesters. More than 100 Palestinians were killed and between 8,700 and 13,000 wounded, depending on the source of the data. The IDF’s actions, in particular the use of live ammunition, has been condemned by organizations including B’Tselem, Human Rights Watch and Amnesty International. According to Israel, most of those killed were members of the terrorist group Hamas, which, the Israeli government says, organized the protests. The event took place a few days before the end of Waters’ cross-Canada Us and Them Tour, the final leg of a North American tour that kicked off almost a year ago. The primary songwriter behind Pink Floyd albums like The Wall and Dark Side of the Moon was invited to speak by Independent Jewish Voices (IJV). Among talk sponsors were IJV, CanPalNet, Seriously Free Speech, Not in Our Name, and Solidarity for Palestinian Human Rights. Waters was interviewed by Martha Roth, co-chair of IJV Canada, and Itrath Syed, a professor at Langara College. Many in the Jewish community were opposed to his speaking, accusing Waters of antisemitism and anti-Israel bias. B’nai Brith Canada made a documentary called Wish You Weren’t Here and followed him around Canada showing it in conjunction with his concerts. A week before the talk, the Centre for Israel and Jewish Affairs sent out a mailing identifying Waters as “the rock musician obsessed with boycotting Israelis” who has become “the face of the hateful BDS movement.” An online petition called for the talk to be canceled. Waters also discussed his communist mother’s tutelage of him as a social justice activist, his opposition to the Trump administration, capitalism and militarism, and the inspiration behind songs on his recent album Is This the Life We Really Want? IJV sent someone out to invite the protesters in afterward for dialogue. While they declined, one Jewish protester exchanged phone numbers with a Palestinian from Gaza who had approached the group, agreeing to meet later and talk. The April 9 panel discussion Israel, Canada and Me in the Age of Trump will feature, clockwise from top left, Dr. Shayna Plaut (photo from Shayna Plaut), Ofira Roll (photo from Ofira Roll), Rabbi Susan Shamash (photo by Robert Albanese) and Eviatar Bach (photo from Eviatar Bach). Israel, Canada and Me in the Age of Trump will be the topic discussed by a panel of four Jewish speakers on April 9 at the Peretz Centre for Secular Jewish Culture. One the participants, Dr. Shayna Plaut, is research manager of the Global Reporting Centre. She is currently teaching courses on migration and social inequalities at the University of British Columbia and is adjunct professor in international studies, Simon Fraser University. “Ashkenazi Jews in Canada and the U.S. are in greater positions of safety than we have ever been,” two or three generations removed from the Holocaust, said Plaut. “Ashkenazi Jews can pass for white. We have a responsibility to do something with this privilege, [to uphold] the tradition of tikkun olam. “As a descendant of refugees, I have always felt connected to refugees,” she continued. “I work to make my ancestors proud and, right now, that means standing in solidarity with this generation of refugees. Ofira Roll, another of the panelists, is a PhD candidate in education at UBC. Born and raised in Israel, she reflected on what is involved in activism in Israel as opposed to Canada or the United States. Roll is critical of recent Israeli legislation excluding supporters of boycotts from entering Israel. “Personally, I don’t believe in boycotting countries. Still, I can’t accept the idea that if I came to Israel and had decided to boycott, I’m on this list. Friends of mine would be on this list. I don’t understand how a democratic country can pass such an undemocratic law. It’s not just stopping people who don’t support Israel – it stops more Palestinians than anyone else so, in a way, it really is a racist law. “As several philosophers I am influenced by – Martin Buber, Hannah Arendt – say, engaging in dialogue doesn’t mean that we are in agreement. Dialogue is more about the process we go through in the search for new understandings. Now, when I see everyone coming together, it’s a strong moment for me. In the time of Trump, that’s what I’m happy about. People start understanding that all these divisions are fake. We are not different at the core. The women’s marches we had all over the world – for women’s rights, which are human rights – ironically, thanks to Trump. Panelist Eviatar Bach is graduating from UBC in physics and computer science. He is involved with the Social Justice Centre at UBC, is a co-founder of the UBC Progressive Jewish Alliance and a founding editor of the Talon, a progressive online student magazine. “With the Trump administration, it appears that the U.S. has abandoned the pretense of an ongoing ‘peace process,’ with Trump expressing indifference at the choice between a one-state and a two-state solution, and the appointment of settlement backer David Friedman as ambassador to Israel,” said Eviatar. “At the same time,” he continued, “there is perhaps more disagreement between mainstream Jewish organizations, which tend to uncritically support Israeli actions, and young Jews in North America, than ever before. New groups such as IfNotNow, predominantly composed of young Jews, emerged during Operation Protective Edge in 2014, and have taken more confrontational stances than, say, J Street, by protesting Jewish organizations that defend occupation and killings directly. Rounding out the panelists is Rabbi Susan Shamash, who was recently ordained by ALEPH: Alliance for Jewish Renewal. She is a retired lawyer and an active member of Congregation Or Shalom. “As a recently ordained, progressive rabbi, my focus is always on the Jewish values that propel me towards acts of social justice, including engagement in interfaith dialogue and commitment to family and community, which includes my Jewish family and my Jewish community. “As a born and bred Canadian (like both my parents), my relationship with Canada is foundational to my identity,” she said. “I have a deep and abiding faith in our legal and judicial systems and in our system of government which, though imperfect, is based on values of inclusion, social welfare and multiculturalism. “As a religious Jew, my relationship with the Jewish community in general and Israel in particular is complicated, varied and nuanced. I often find myself interceding on behalf of a different perspective, of more open thinking and understanding. There is much more to Israel than the occupation and conflict with the Palestinians, but, unfortunately, that is what defines its current reputation in the world community. “We live in troubled and troubling times,” said Shamash. “U.S. President Trump has already changed the world order in unprecedented ways. More worrisome is that he has a lot of support both within and without the United States. This is not just an American phenomenon. The April 9 event is sponsored by Independent Jewish Voices, Vancouver. It begins at 1 p.m. and the suggested donation is $10. With regard to the latter accusation, B’nai Brith, also via email blast, called attention to IJV having posted an article by blogger Alan Hart about antisemitism and anti-Zionism, which had been republished on a website called Veterans Today. That website – Veterans Today – evidently engages in Holocaust denial. What seems to be going on here is a regrettable discursive war over Israel fought by other means. Dov Waxman’s recent book Trouble in the Tribe: The American Jewish Conflict Over Israel details the acrimony taking place on the topic of Israel across the American Jewish community. On this score, the Canadian Jewish landscape is little different. 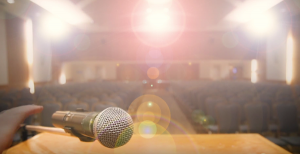 Better than issue smear campaigns against those who don’t hew to the mainstream Jewish community perspective, the Jewish community should be debating the issues at stake. How to end Israel’s 49-year long occupation of another people? What kinds of security assurances does Israel need in order to bring that era to an end? What are Israel’s obligations under international law? How can the refugee issues be resolved in a just way? How can Israel institute full equality between its Jewish and non-Jewish citizens? These are issues that would be very worthy of more discussion. That said, two lessons can be learned here. First, organizations should be careful about with whom they associate. If conspiracy theorists are going to undermine the message – and, to most ears, they will – organizations should find other ways to raise issues than relying on questionable sources. And, if cozying up to the far-right is going to help portray an organization as being out of touch with its constituency, then it, too, should be careful about with whom it rubs shoulders. If, on the other hand, these allies are understood by the organization to be representative of their values, then that is also an important opening for discussion so community audiences can decide with whom to cast their lot. To this end, I would like to encourage IJV and B’nai Brith Canada to take their feud out of the realm of email blasts and counterpunches and into the realm of policy questions. Perhaps a public debate hosted by the two organizations over mutually-agreed-upon questions with regard to Israel and the Palestinians would be apt. I know that I, for one, would tune in. Is it time to end IJV herem? When Vancouver-based songwriter and musician Daniel Maté wrote on his public Facebook page that he had declined an invitation from Jewish Federation of Greater Vancouver to accompany some singers on Yom Hazikaron, since he “couldn’t in conscience do that as long as we don’t honor the far more numerous victims of the terror ‘our’ side inflicts,” he received an invitation from an Independent Jewish Voices (IJV) member to get involved in their group. Along the political spectrum of Jewish groups in Canada devoted to matters pertaining to Israel and Palestine, IJV – which bills itself as a human rights organization – tries to carve out a space rejecting traditional Zionist principles. In an organized Jewish community where conservative positions on Israel prevail, this doesn’t make it many friends. For several years, I’ve watched IJV operate from close quarters. As a self-defined progressive Zionist, I have not signed onto IJV’s platform. But, as someone who values serious debate within the Jewish community, I have twice participated in an IJV-hosted forum. Mostly, I find it a sign of community weakness that most of the engines of the Jewish community attempt to shut IJV out of the conversation entirely. With the exception of the Peretz Centre in Vancouver and the Winchevsky Centre in Toronto, no Jewish community locale will host IJV events – or even rent space to them, according to Levitan. But they’re not giving up on trying to be heard within Jewish community walls. “We’re persistent,” he said. To reject Zionism indeed does place IJV outside of the mainstream community tent. It is this way, but should it be? Like all political “isms,” Zionism’s meaning comes from the effects of the policies with which it is associated. While the debate between statist Zionism and those who foresaw other possible arrangements for Jewish liberation in the early 20th century was robust and active, non-Zionist voices receded as Jewish statehood emerged. But now, almost seven decades later, Israel is in crisis. It may be time to ask whether Jewish privilege should be rolled back in favor of some more inclusive and democratic arrangement. A frightened community, however, may view this very question as akin to treason. Any solution – even a two-state one – will likely involve some return, some compensation and some resettlement. While IJV does speak in terms of “rights,” in practice we might see their call as somewhat more pragmatic than many assume. The thing is, even reasoning out these complicated dilemmas as I’m trying to do here is well-nigh impossible as long as groups like IJV remain excluded by the sort of herem (excommunication) with which they’ve been saddled. One thing on which Levitan and mainstream Jewish community leaders seem to agree is that there’s a lot of fear. And, sadly, we know all too well the kinds of politics to which fear can give rise. In order of presentation, the four panelists were columnist Dr. Mira Sucharov, an associate professor of political science at Carleton University, who joined the discussion via FaceTime; Yonatan Shapira, a former Israeli rescue helicopter pilot who has become a Palestinian solidarity activist; Michael Barkusky of the Pacific Institute for Ecological Economics, who was born in South Africa and was an anti-apartheid activist during university; and author and speaker Dr. Gabor Maté, a former Zionist youth leader. Shapira said, “Wake up from this old dream of a two-state solution…. We are intertwined together with the Palestinians whether we want it or not. We have to move on from a conflict between two sides … an occupier force and an occupied, an oppressor and oppressed, a colonizer and native. This is the context and we have to change the mindset.